Miracle on 34th Street begins on Thanksgiving Day as a man named Kris Kringle fills in as a last minute substitute for Santa Claus at Macy’s annual parade. Later, Kris is hired for the job of their store’s Santa Claus. 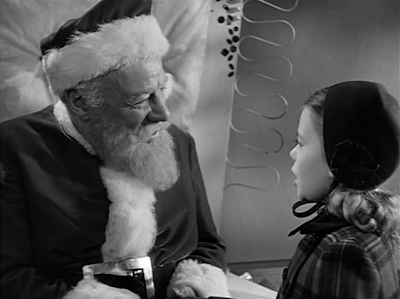 The parade’s director, Doris Walker introduces her daughter Susan to the charming Kringle but he is crushed to learn the little girl lacks the imagination to believe in Santa Claus. Meanwhile, Macy’s department store has tremendous success with Kris as their store Santa until it becomes known that Kris actually believes himself to be the real Santa Claus. The story builds to a courtroom scene where Kris has to not only defend his sanity to a judge but his lawyer is asked to prove that Kris is the one and only Santa Claus! But the climax of the story arrives a little later when young Susan’s faith in Kris is put to the test. 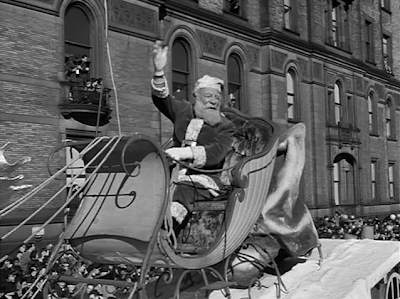 This classic movie’s story captures both the humanity and the spirit of the holiday season. Despite the various remakes, this original film version still remains the preferred favorite for most people. A testament to this film’s influence can be seen in the countless references made in more recent Christmas entertainments. Most courtroom scenes with Santa Claus and story lines that raise the question “is that the real Santa Claus?” are tributes to this 1947 film. Like many viewers, I’ve been watching this movie since I was quite young and it is a movie that stands up to many repeated viewings. As a child, I remember being touched by the ending--young Susan jumps from the car to run up into the house she is sure Kris has given her for Christmas. 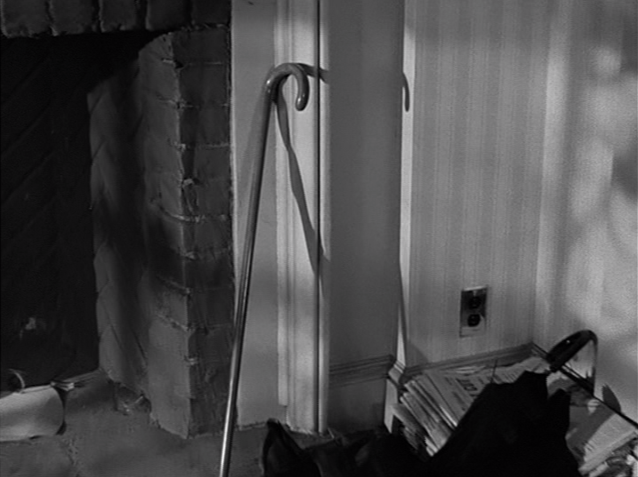 Fred and her mother Doris follow the young girl into the house for sale, spotting Kris’ walking cane in the corner by the fireplace and wondering “could Kris really be Santa Claus?” As an adult viewer, I think I look forward to the courtroom scenes a little more. I understand and enjoy the fiasco the defense, the prosecution and the judge have gotten themselves into, each ultimately with a reason to avoid having Kris found legally insane. And yet, the story remains not only light and comical but entertaining to watch year after year. Kris' walking cane found by the fireplace begs the question: could he really be Santa Claus? 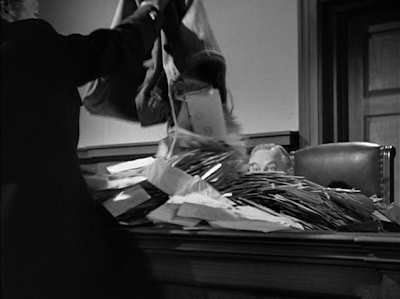 This classic film is a must-see experience at the Capitol Theatre. Admission is just $5. Children 10 and under who bring in a letter to Santa will get in for FREE. The Capitol Theatre will have a “Letters to Santa” mailbox and will make sure that all collected letters get posted and make it to the North Pole in time. This film is playing as part of the Capitol Theatre’s on-going Sunday Classics Brunch and Movie Series. After the film, patrons that show their ticket stub at one of our partner restaurants (LUXE Kitchen and Lounge, Latitude 41n, Reddstone, Stone Mad) will enjoy a discount on brunch.